Preparations for our 11th General Chapter are intensifying by means of the Delegation Meetings and Provincial Chapters that will be taking place on different dates up to mid-February 2019. We now have in our hands the Draft of the Work Instrument on which these important encounters will concentrate their reflections and discernments. Each of us can begin to immerse ourselves in this text, opening ourselves to the appeals of the Spirit, who speaks to us through the signs of the times and the situations of the world, the Church and the Congregation. And above all by welcoming the Pact as the key to our discernment of the present moment and as a light for launching with faith and courage the processes of transformation that the Congregation requires today. The grace of our vocation resides in us, who are very weak, ignorant, incapable and inadequate in every way, so that, in keeping with the words of the Apostle, the power of Christ may dwell within us (cf. 2 Co. 12:9)–a power that is fully manifested precisely in weakness. 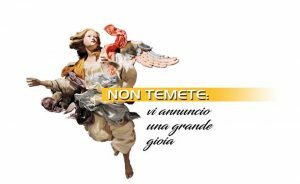 Just a short time ago, we concluded the Encounter on the Apostolate-Economy, during which we contemplated the splendid gift of the Pauline mission and, in particular, “the grace of the editorial apostolate” as the pre-eminent expression of our Pauline teaching ministry. Together we perceived the foresight of our Founder, who urged us to move toward always vaster horizons. We felt the prophetic power of our charism and the need to entrust our poverty to Jesus Master, asking him to help us rediscover the creative and consequently the Biblical, catechetical and ecumenical dimensions of our vocation. When Fr. 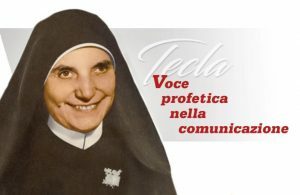 Alberione wanted the sisters to begin the writing apostolate, prepare catechism texts and launch Così [a magazine for young women], Maestra Thecla did not hesitate. She had no doubts and she did not allow herself to be tempted by discouragement. How many times we were discouraged but she would vigorously remind us to have faith in God and in the graces of our vocation. If things were hard, totally new and superior to our strength and skills on the human plane, she would always insist: “We have to have faith…absolute faith! And we have to pray because prayer is our strength and God’s weakness!” She personally lived the Secret of Success and she wanted us to live it too…. May the Divine Master give us the gift of coming to a deeper grasp of the implications of what it means to be “women of the Word,” “women of the covenant,” apostles who with faith and humility nourish themselves on the Word, hold it aloft, clothe it in beautiful colors and “break it” so that it can touch the hearts of everyone, bringing them life, light, hope, peace, love and welcome. May the Spirit give us the ability to dream big and beautiful things for our mission in the certitude that faith can accomplish true miracles today too. 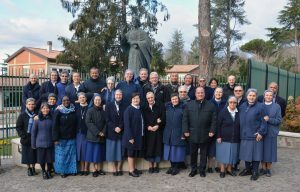 My heartfelt thanks to the sisters who, over the years, have kept alive and bright the flame of our editorial and catechetical apostolates–a flame that we hope will continue to radiate the light of faith and hope to humanity today. Happy Feast of the Divine Master to all of you!